When people come to Slovenia, they usually visit the standard sites; Ljubljana, Postojna cave and Lake Bled. But for the people who want to spend their visit more actively, a hike to Slovenia’s highest mountain, mount Triglav, is also an intriguing option. 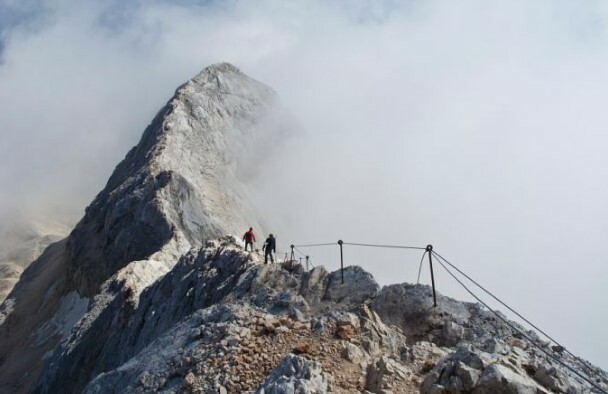 Climbing Triglav can be a busy single day trip or a leisure activity for the entire weekend, depending on the difficulty of the route people select for climbing mount Triglav. There are more than 20 starting points around the Triglav national park to climb Slovenia’s highest mountain, and they are quite different in duration and difficulty. If you are the kind of person who loves to hike in a casual way, without overwhelming stress and effort to reach a goal, then using the Triglav lakes valley is the perfect route to take when climbing mount Triglav. The best starting point is at lake Bohinj where you can climb the Komarča Crag to reach the first of the lakes on your route on climbing mount Triglav, the Black Lake. The trail continues through the valley, passing all of the seven lakes, including the Triglav Lakes Lodge which is a good resting point before continuing towards Triglav. Before raising above the lakes where you can see some capricorns in their natural habitat, you will eventually pass all the lakes (the aforementioned Black Lake, Double Lake, Big Lake or Lake Ledvica, reaching Podstenje Lake). Then you will continue in the rocks beneath Triglav on your way towards Planika alpine cottage, which also provides accommodation for the tired hikers on their voyage of climbing mount Triglav. Once you reach your goal at the peak, you can return using the same trail or you can venture to find a different location where to finish the journey. But in any case, climbing mount Triglav will definitely be one of the highlights for any trip to Slovenia.